Your one-stop shop for fishing bait, beer and liquor. Fish Tales Bait & Liquor offers a huge variety of fishing bait and tackle, plus a full selection liquor, wine, beer, soda and snacks. 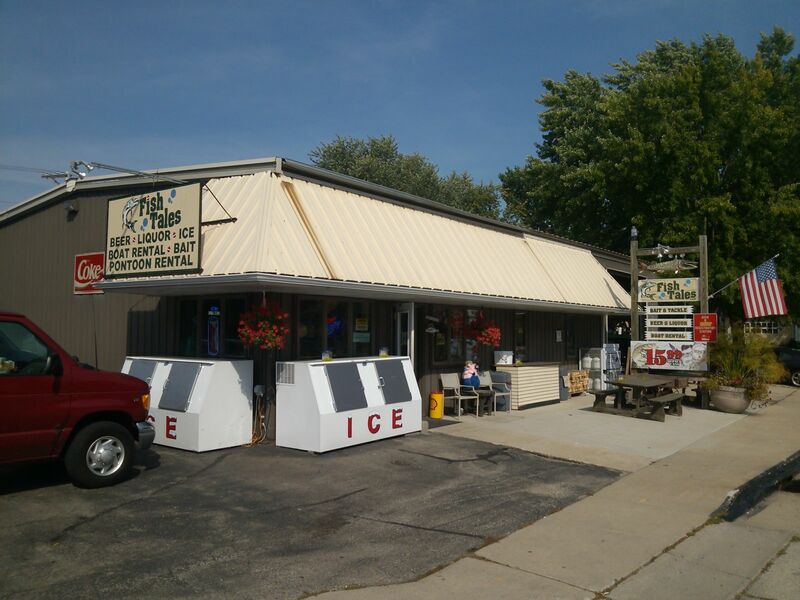 Located right on the water in downtown Fox Lake, we're easy to find. You'll find parking in our convenient parking lot or right on the street. In addition to everything you need for a great fishing outing, our employees are avid anglers who’ve spent a lifetime fishing our local waters. Owner Tim Nehls is lifelong angler and a long-time resident of the area, and his main goal is to help others enjoy the area's lakes as much as he has. For Tim, there's nothing he enjoys more than exchanging fishing tips and tales with other anglers. For the best up-to-date fishing advice, just ask! Pontoon boat rentals are also available from our new pier. Ask about hourly, daily and weekly rates.